I was the guest of Crockett and Houston County on November 22, 2013. Just over a year after Texas gained its formal independence, on June 12, 1837, President Sam Houston authorized the creation of the first county in the Republic of Texas, joining a rank of twenty-three already extant counties from the days of Spanish and Mexican control. 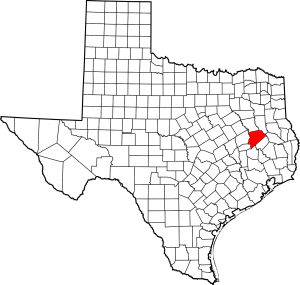 Crockett town fathers Andrew & Elijah Gossett subsequently lobbied to name the county after the president and the county seat after another Texas Revolution hero. I’m sure you can guess which one. 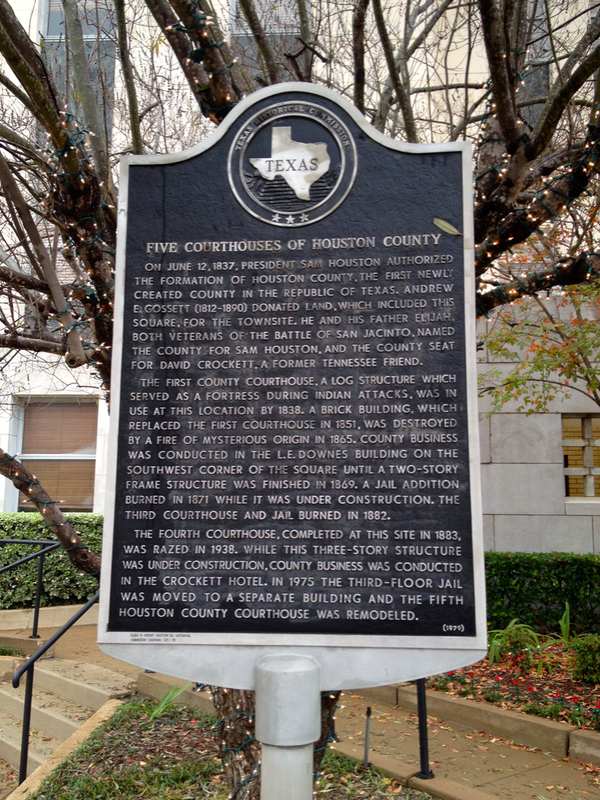 Houston County’s first courthouse was a log structure, built in what records describe was a fort-like style. In fact, it’s reported to have defended town residents against Indian attacks at least once. 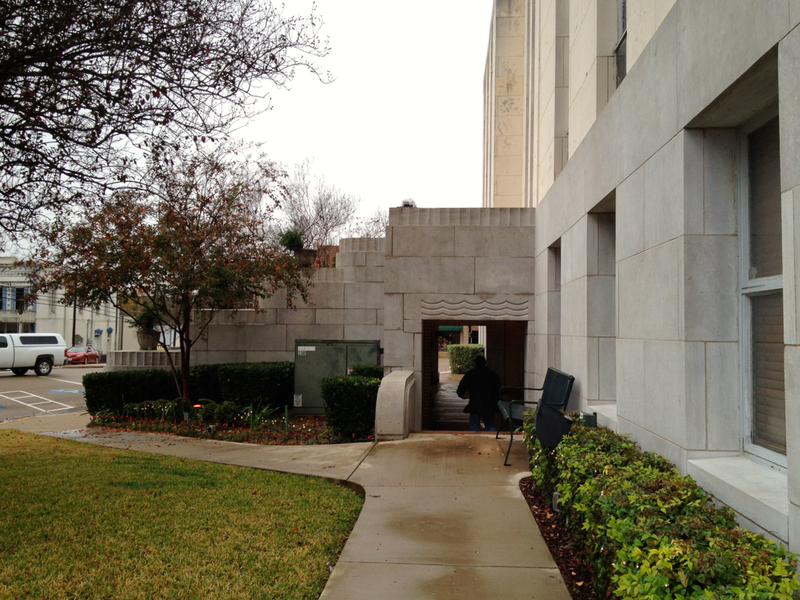 John Erwin was its architect and contractor, and his work was demolished twelve years later for a newer structure. 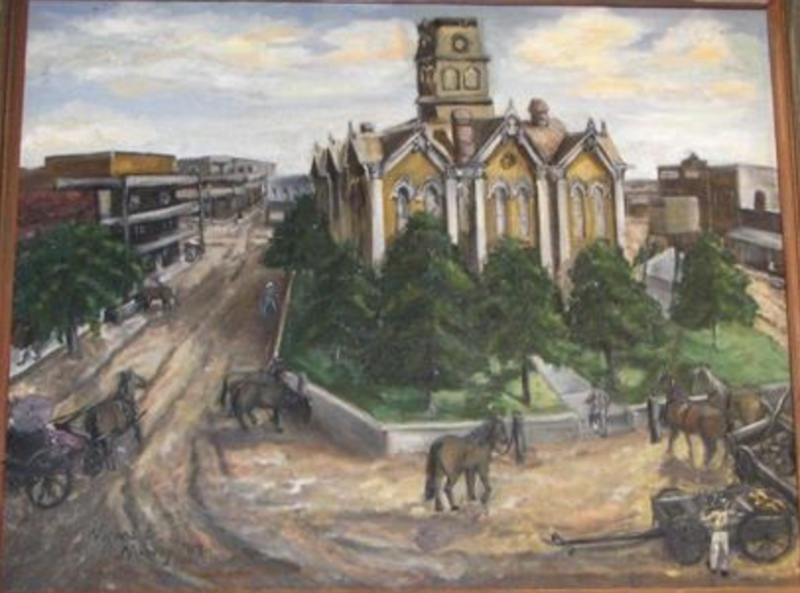 In 1851, a two-story, brick courthouse joined the Crockett square, but fire brought it down on February 2, 1865. The origins of that blaze were never resolved. For four years, court was held in the L.E. 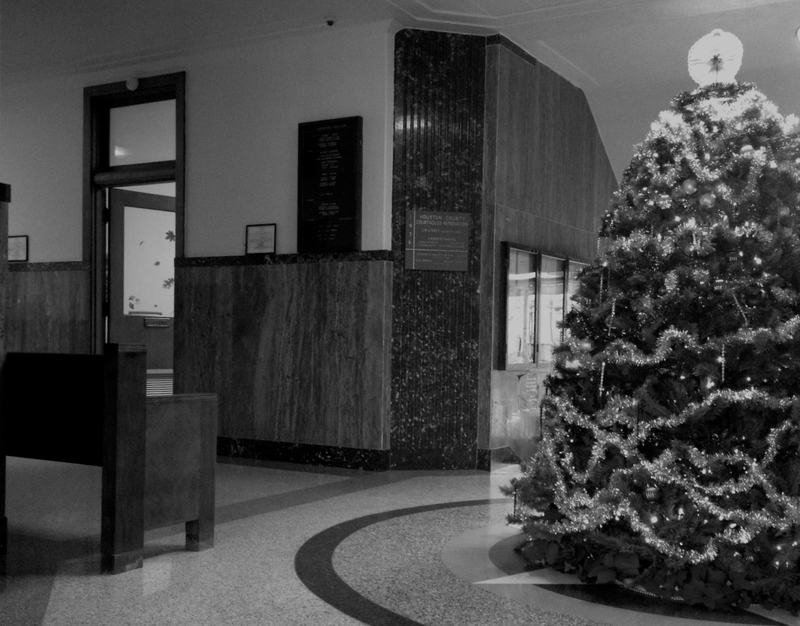 Downes building on the Crockett square until J.H. Burnett’s two-story wooden frame building was completed. In 1871, commissioners authorized the addition of a jail building, but it burned during construction. So, another jail was ordered. Naturally, in 1882, that one burned too, taking the courthouse down with it. 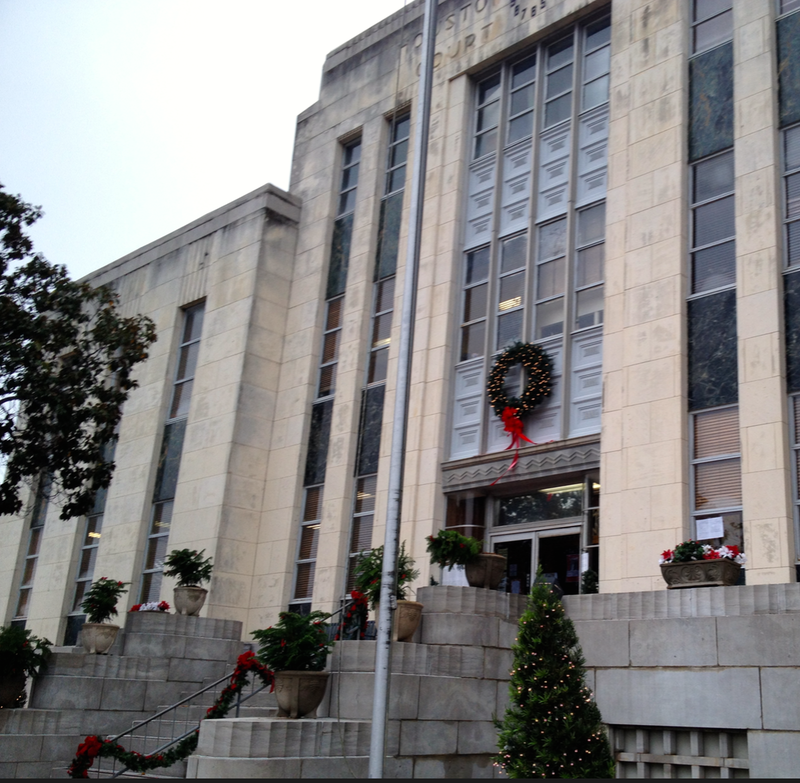 That brings the historical narrative to 1883, when Wesley Clark Dodson completed Houston County’s fourth courthouse. 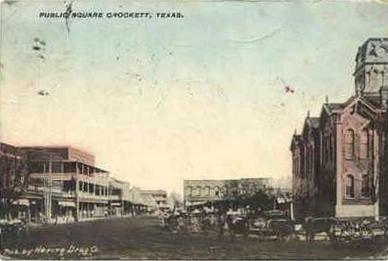 And while his three-story, Second Empire creation (pictured above) was being built, county business was held in the Crockett Hotel. 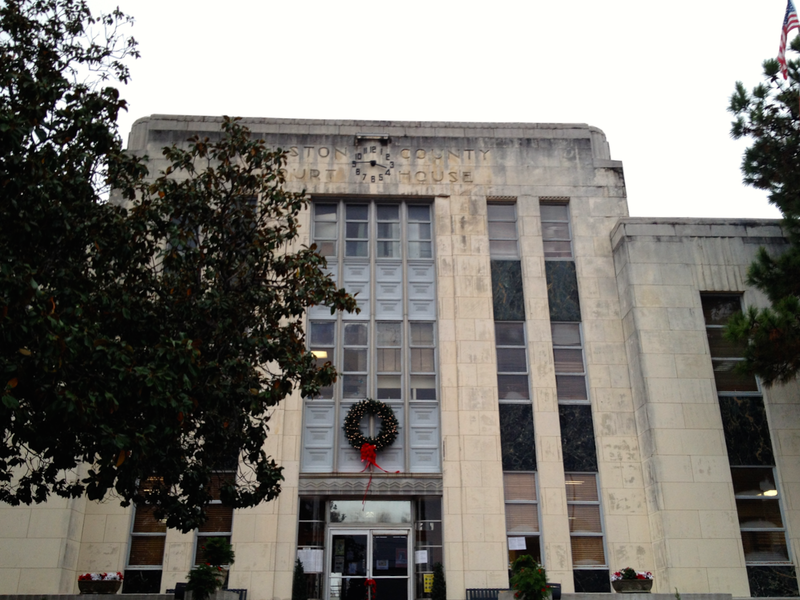 For fifty-five years after that this building served. However, at the time of the Great Depression, it was sold to a new owner for a grand total of $1. 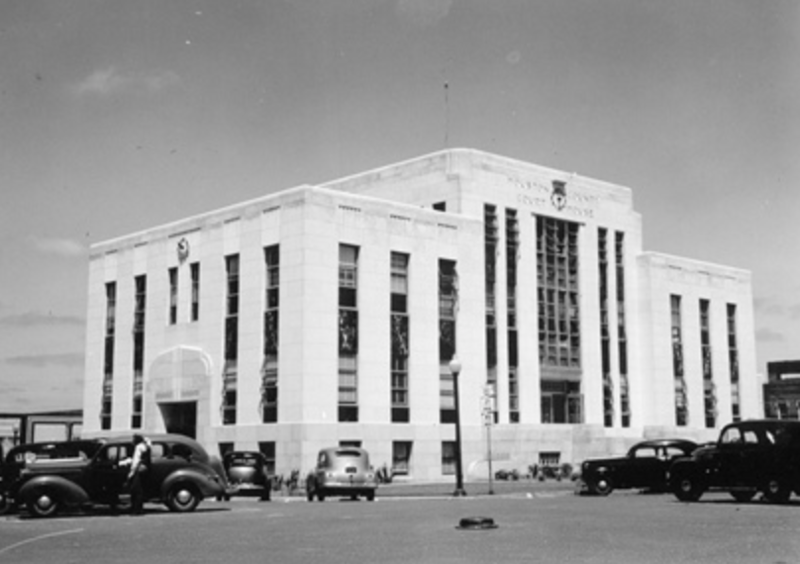 The only contractual condition was that it be demolished upon sale. So it was, and it’s assumed the materials salvaged from the old courthouse made their owner a fine bit of profit from his $1 investment. 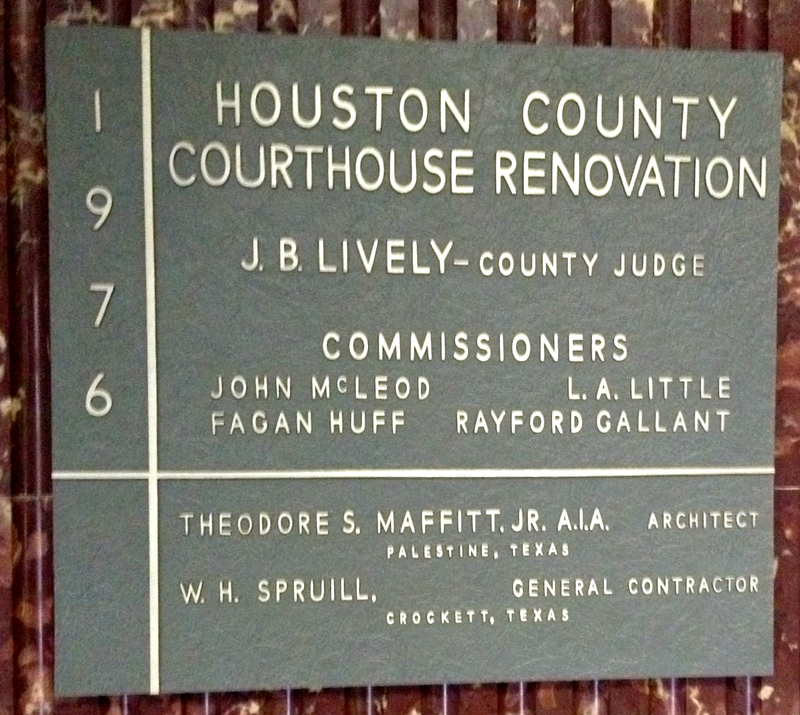 A year earlier, the Houston County commissioners court (with County Judge B. F. Bradley presiding) had begun plans for the construction of a much more modern courthouse to satisfy county needs. 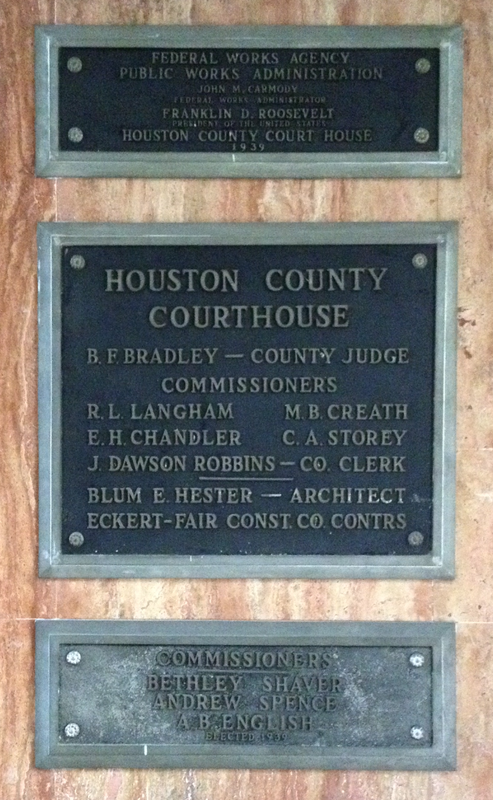 With the lot of the previous courthouse cleared and ample funds from the Public Works Administration, local architect Blum Hester and the Eckert-Fair Construction Co. of Dallas brought a fifth courthouse to Houston County. 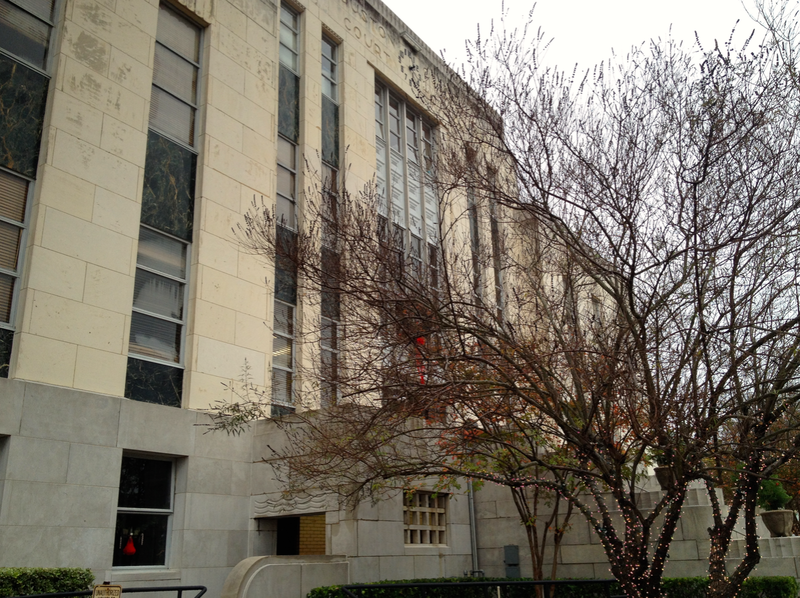 The western façade looks down upon 5th Street. 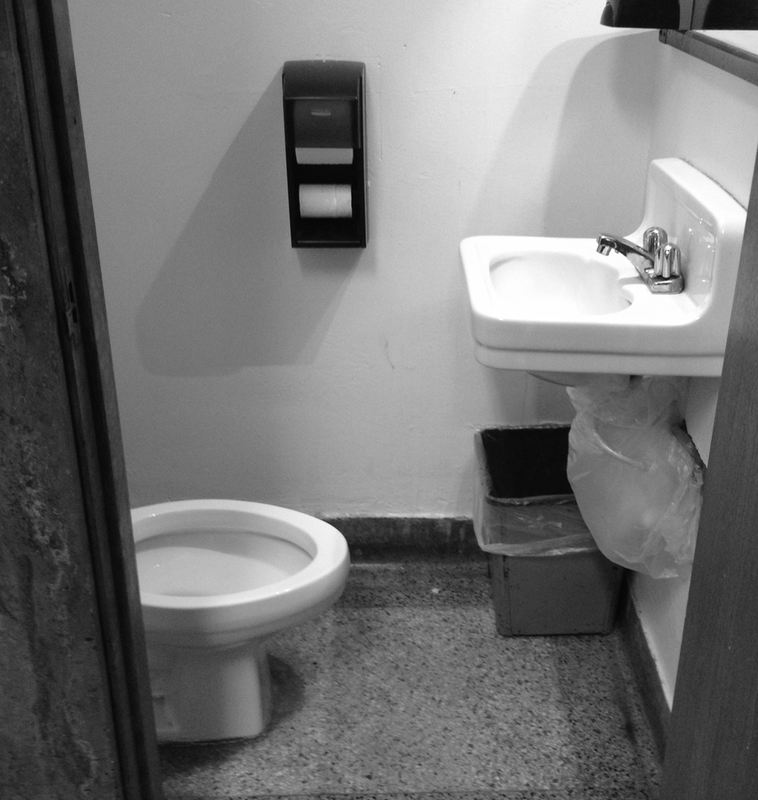 The public restroom in this courthouse is truly the smallest I have ever seen. Along Highway 19, north of downtown, I came across this decrepit old building. It was once Mary Allen Junior College, but has since been abandoned. Luckily, things seem to be looking up for the structure, as at the time of my visit I understood it was to be renovated to a museum in the future.